If you are anything like me, you have a tendency to live a life of regrets. How often I wish I had said and done things differently. I second guess myself and beat myself up for not sharing the gospel just that little bit more. I regret not doing something for someone that could have resulted in their trusting more in Christ or in gaining more faith. I regret my good deed for my fellow Christian that remained in the inbox of That’s a Nice Idea, instead of ever reaching the filing cabinet of Done and Dusted. I regret the good work for my dear friend that now remains undone and undoable, because she has passed into eternity. I regret the times my life got in the way of my good intentions. Boy, does Satan love that hotbed of righteous regret. He preys on us with our self-doubts and self-questioning. He torments us with what could have been, what should have been. He is the accuser of the brethren, and in this job, he has a great work ethic. It's not just Satan either. There are people who actually make a career of manipulating Christians into giving and doing out of guilt and piety. These regrets used to be so overwhelming in my life. I would give without ceasing, and busy myself to a standstill in the good works department. Someone just had to mention a need, and I was there, trying to fulfill it, hoping that my good work would result in their praising God or in their gaining salvation. All this focus on me took the focus off the real worker, the One who accomplished it all for us already. The One who, on the cross, in His final words declared, “It is finished.” The One who grants faith. 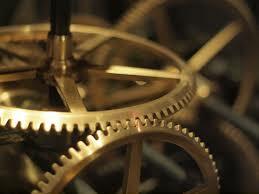 God uses me, surely, but I’m just a tiny cog in His massive machine, a minuscule thread in His magnificent tapestry. Only at the last day, will we be able to look back on our lives and see the good works we did for Him. Then it won’t matter anyhow, because all that does matter and will matter is His good work. I should rest in Ephesians 2:8-10: For by grace you have been saved through faith. And this is not your own doing; it is the gift of God, not a result of works, so that no one may boast. For we are his workmanship, created in Christ Jesus for good works, which God prepared beforehand, that we should walk in them. Often, our regrets are a lack of faith in God and His work. We think we are more important than we really are. We are not His only instrument. If He wants something done, He will do it, regardless of the means He’ll use. We don’t need to second guess ourselves, or Him. Jesus said, “My yoke is easy, and my burden is light.” (Matthew 11:30). I think we are all secretly more enamored with a hard yoke and a heavy burden. We want to feel that we are working for our salvation, working for our justification, working for our sanctification. It is way more difficult to rest from our labors and trust in the finished work of Christ. This doesn’t mean we don’t have good works to perform. God gives these to us as He sees fit, and according to His perfect timing. I love the story of Martha and Mary – the one working hard and complaining that her sister was just resting at the Master’s feet. Yet, look at the good work Mary performed, at the perfect time and according to God’s plan, she broke an alabaster jar of nard, and anointed the Savior for His death. He said of this good work that we would celebrate it wherever the gospel is proclaimed in the world, and we do. This was a good work coming out of her rest in Him, not out of her labor and works righteousness. Nothing we do would ever compare with such an honor, but the principle applies.